Real Estate Brokers are NOT "created" equal. 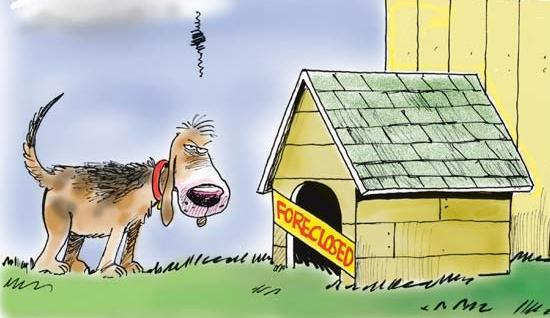 Foreclosure prevention is a specialization for which only a few elite Brokers have the training, expertise and experience. MHA, HAMP, HAFA, HARP, PCS, Freddie Mac, Fannie Mae, Non-GSE, traditional short sale, in-house loan modification --- Consult an expert to help you determine which program is the most applicable to your situation? Home Affordable Modification Program (HAMP) and Home Affordable Foreclosure Alternatives are two of the most widely-sought options within the Making Home Affordable programs. If you can no longer afford to make your mortgage payments or if you've already missed a payment, you may qualify for a loan modification under this program to make your monthly payments more affordable. For those who are ineligble to modify their loans but want to avoid foreclosure, the Home Affordable Foreclosure Alternatives (HAFA) Program provides a working guideline that creates a "win-win" situation for homeowners, their lender(s) and/or their investors by providing incentives for cooperating and completing a short sale and/or other exit strategy. HAFA provides a more dignified exit strategy for a homeowner which allows the homeowner to avoid foreclosure while transitioning into a more affordable living situation. The HAFA guideline also calls for the lender to forgive the homeowner of any monetary short fall resulting from the short sale. Under this program, the homeowner can have fresh start with a clean slate. Be sure that you work with a HAFA experienced Realtor. HAFA is time-sensitive and meticulously procedure intensive. Your file may get kicked-off the program if it's not done properly. Our services are at NO COST to homeowners.